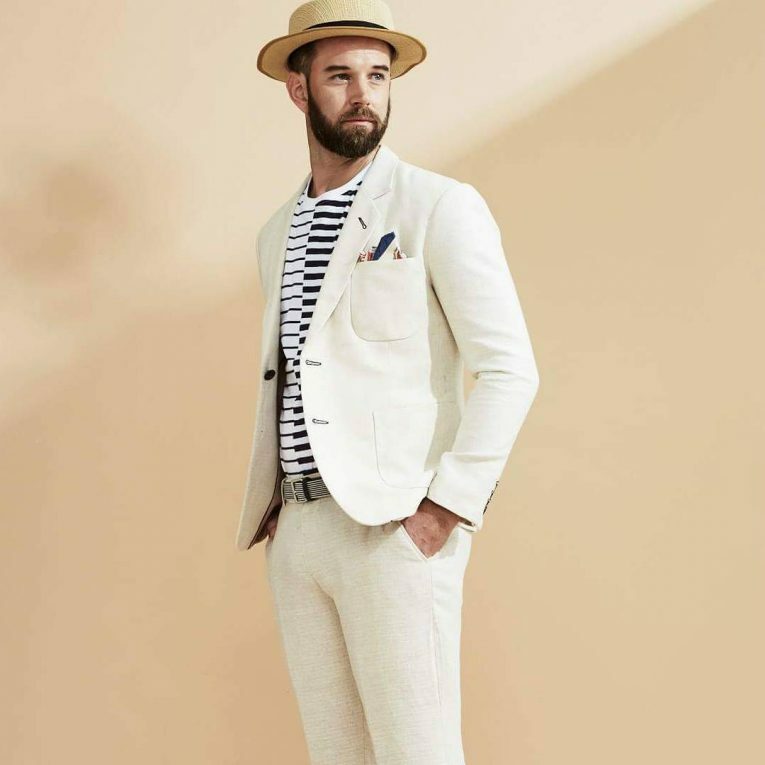 Linen suit comes in different colors and designs for men who love fashion and style. 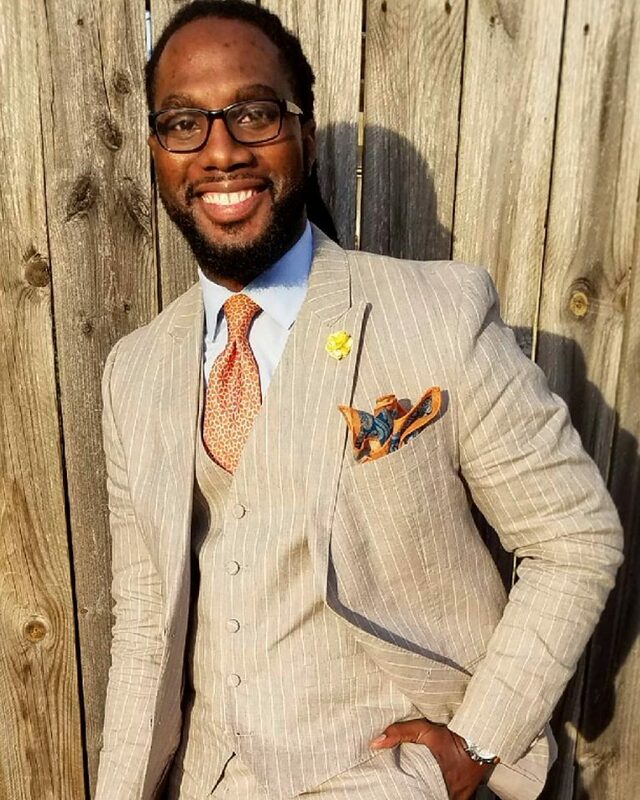 For many years, men have assumed that wearing a suit is only for people who want look official, presentable and elegant, especially in formal occasions. 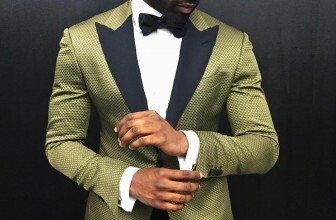 However, you can still wear a suit in various occasions such as evening outings, dinner dates or even a wedding and look outstanding. 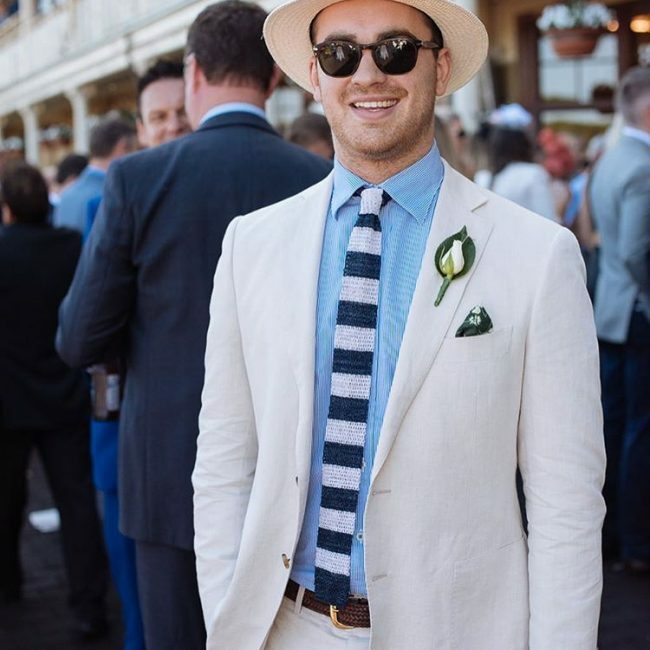 Here are 40 variations of a linen suit that you can wear and look superb. 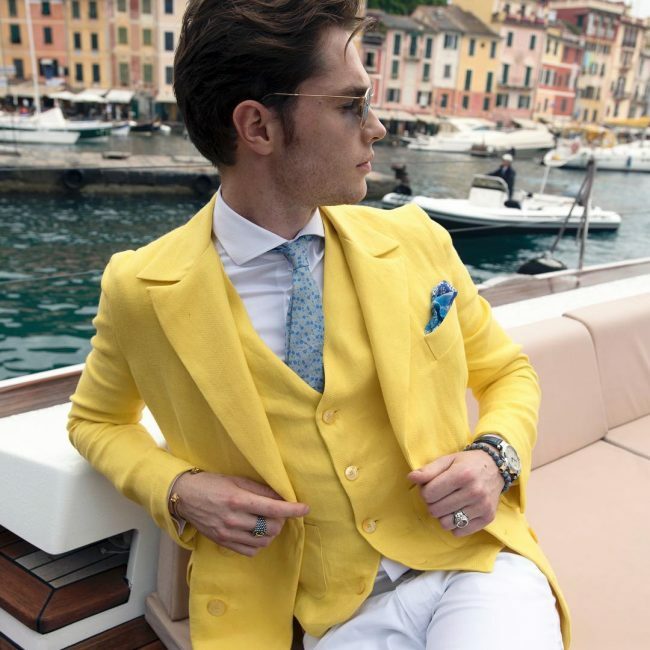 This is a cool design for men who love slightly bright suits to get some attention. 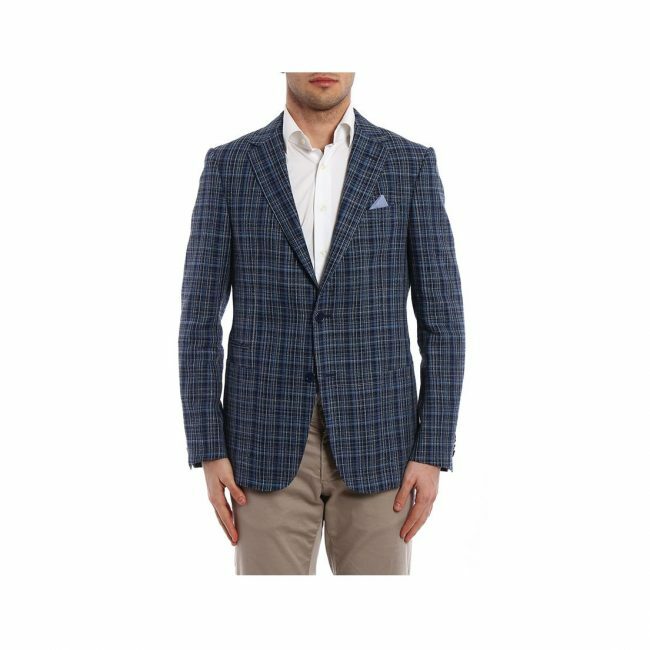 The design is a fitting suit with a two-buttoned coat that has outer pockets. This style comes beautifully with a white shirt and a dark color stripped tie. 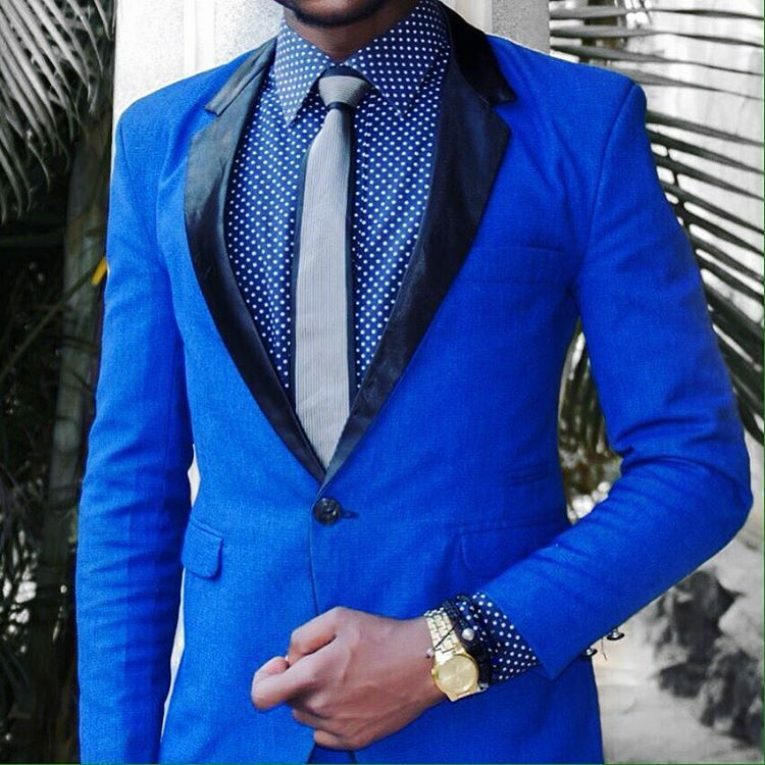 This is a bluish suit with a three-buttoned crossed coat. 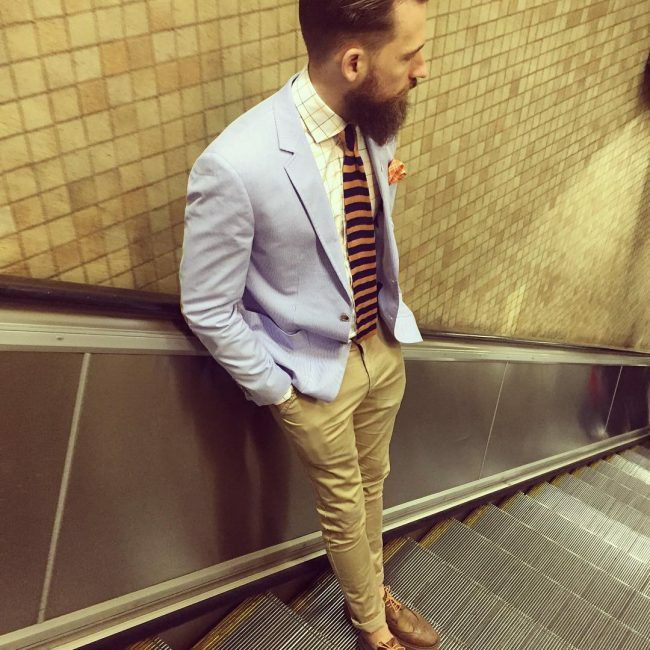 The trouser is slightly lifted near the ankles to expose the color of socks. 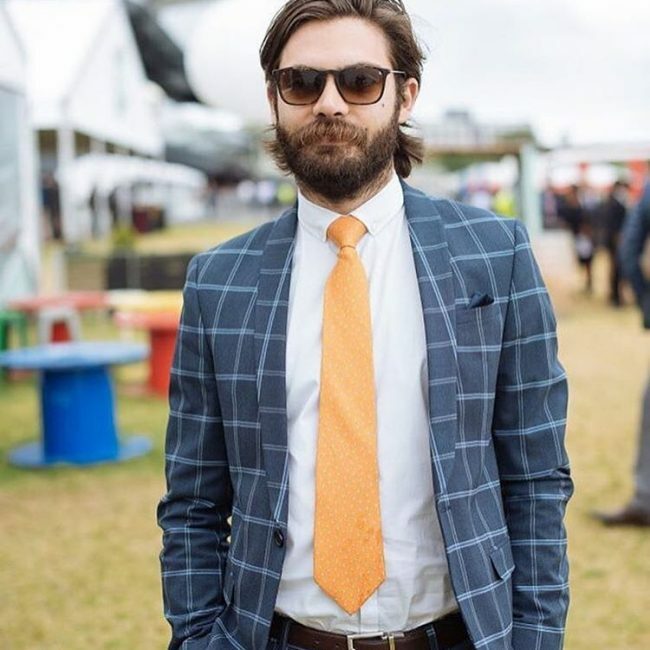 The style matches well with an orange shirt that is lifted to the neck with no tie. 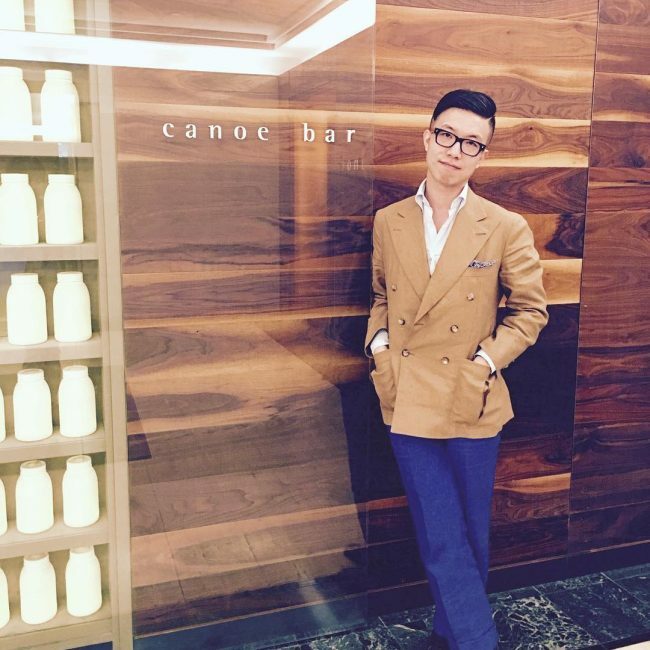 This is a single-slit blue suit with white lines that create matching squares. The design comes out beautifully with a light blue shirt and brown shoes. This is a nice wear for informal outings, especially in men who love being easily noticed. 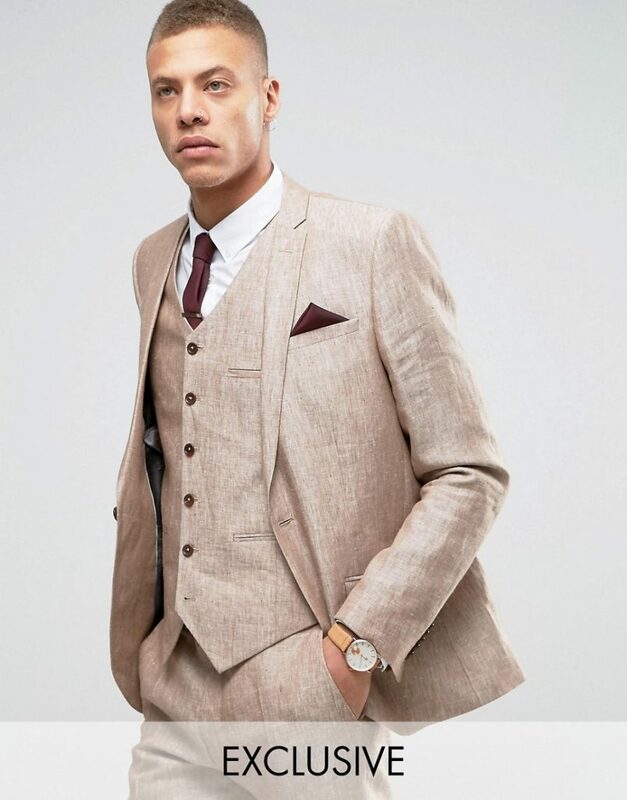 This suit is suitable for tall men who love wearing suits in informal events such as a wedding, dates and evening parties. The coat has a V-dropped slot that runs from the neck down to the belly. 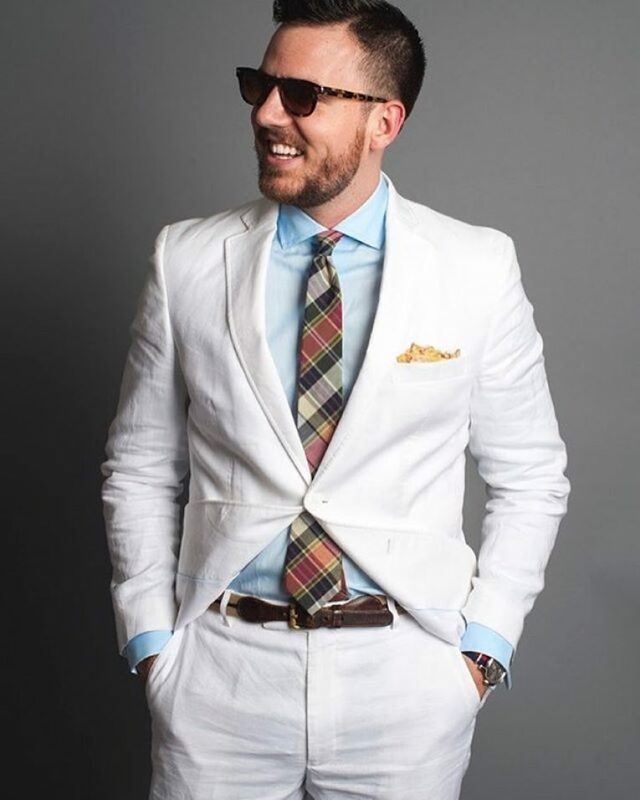 The style comes out beautifully with a white or cream shirt and a bluish tie. 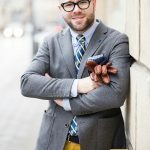 This is a cool suit for younger men who want to wear a 3-piece suit and still look elegant. The suit should be fitting and matched with a light blue and a shiny black tie. You can also crash it with a pair of brown shoes if do not want to look formal. 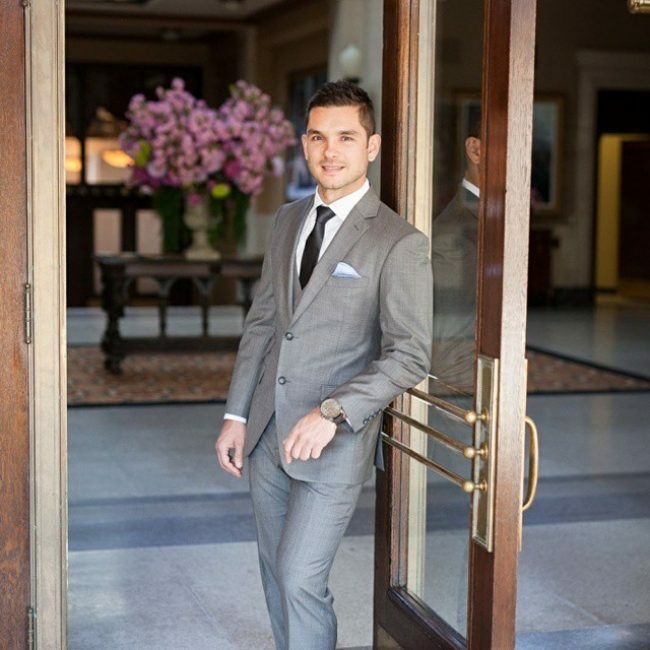 This suit is suitable for young men who love wearing a 3-piece suit during informal occasions such as weddings. 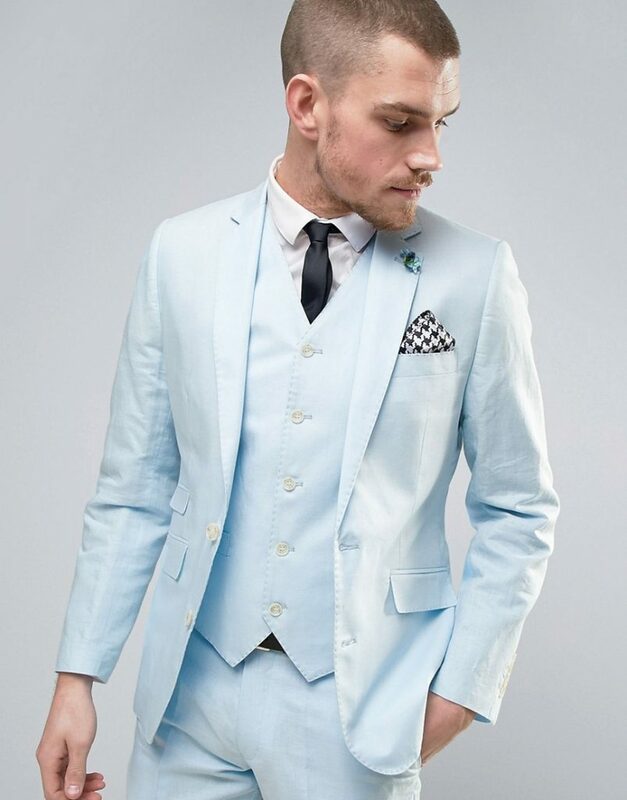 The suit comes with designer half-coat that matches well with light blue and a black tie. You can have the trousers lifted at the ankles to expose your socks. 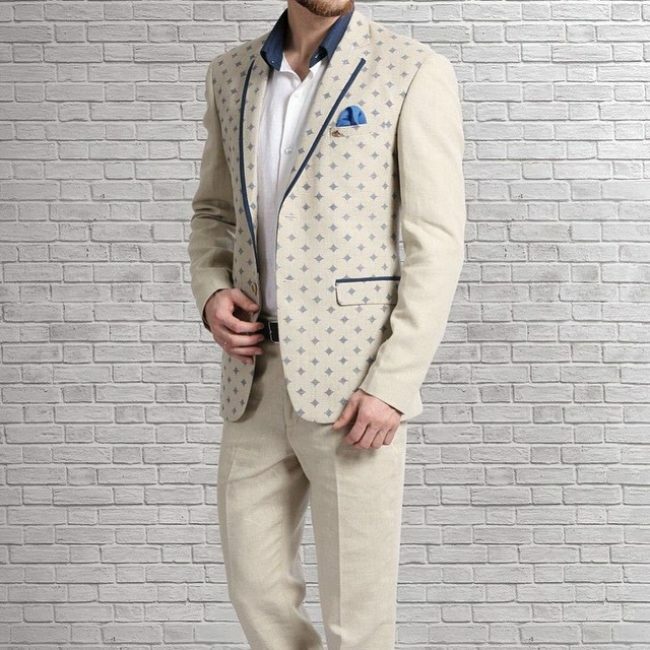 This is a cool designer linen suit suitable for men who want to add some original elements to their outfit to look outstanding and easily noticeable. The coat is designed matching different materials of different colors to attract attention. 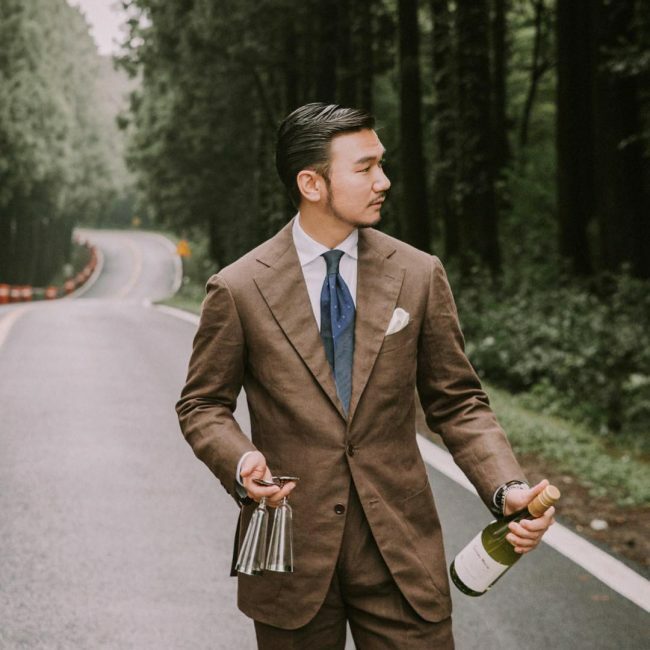 This suit is very cool for men who want to maintain the traditional style and still look elegant. 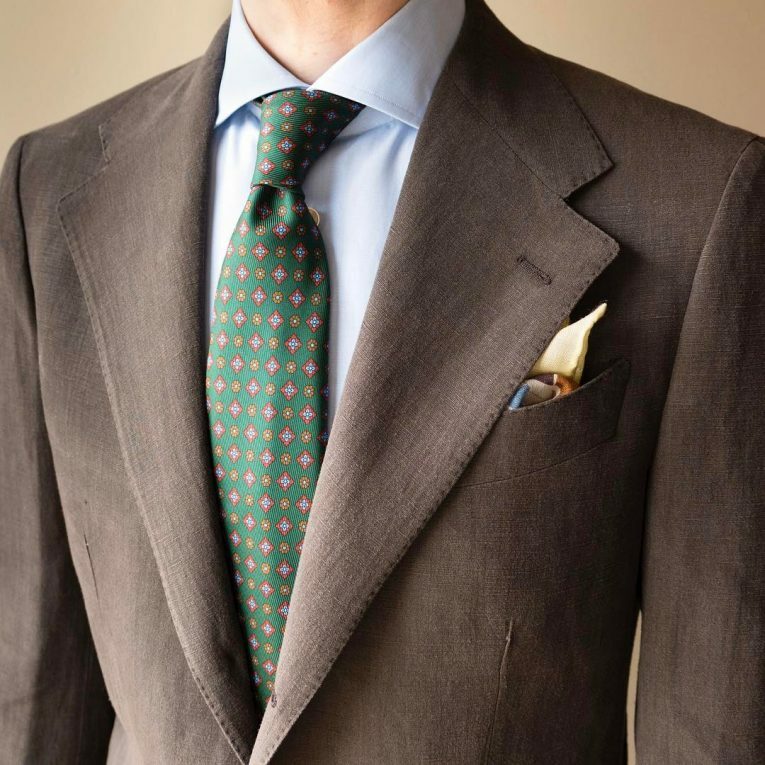 The suit comes out beautifully with a cream or light blue shirt matched with a black tie. This suit is suitable for parties and other informal occasions where you want to look simple and fashionable. The suit comes out beautifully when matched with a blue shirt and no tie. 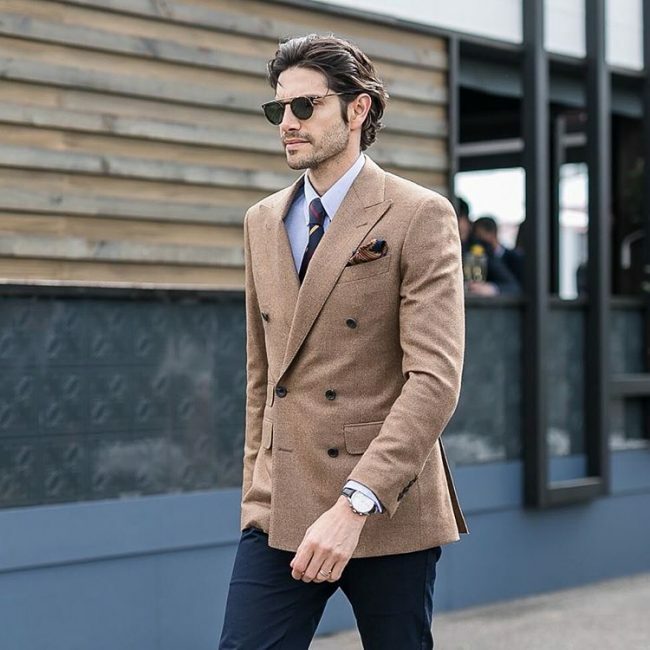 This is suitable for men who want to wear a coat and trousers of different colors. 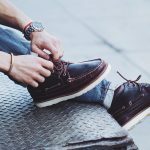 If you want to look simple and easy going, this is a style for you. 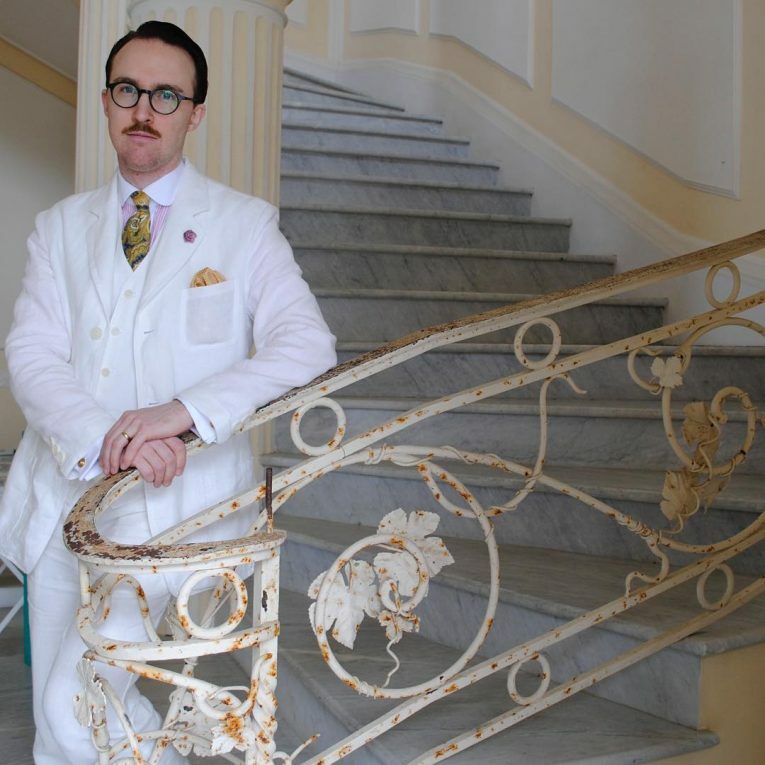 You can clash a brown coat and a blue trouser matched with a white shirt. 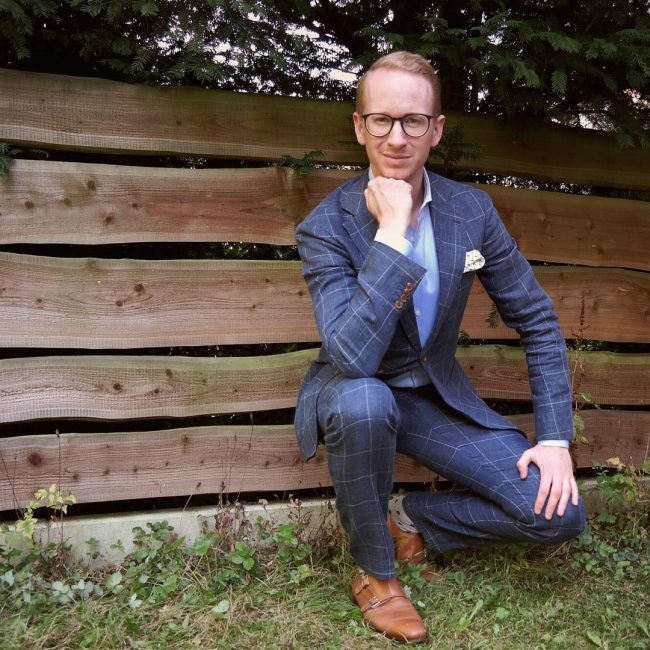 This suit is suitable for social events, especially by middle age men who want to look trendy and official at the same time. 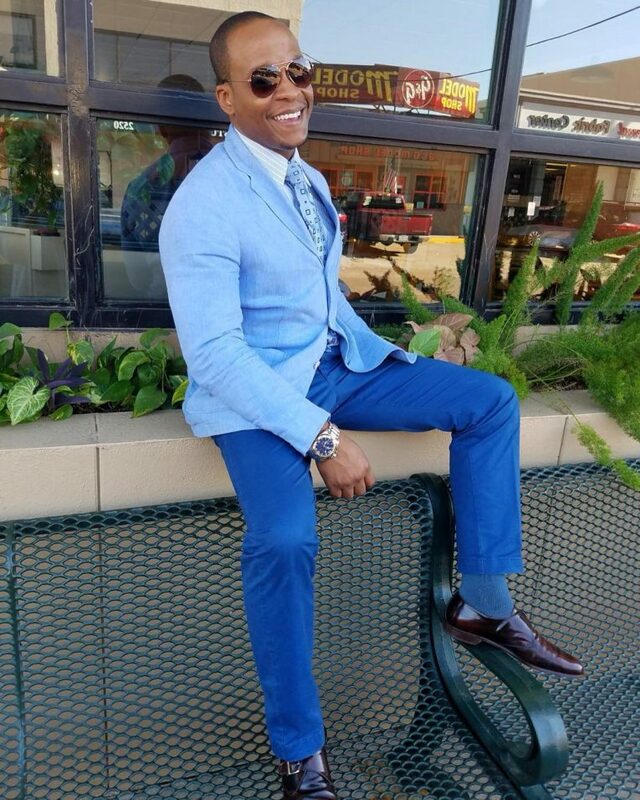 The suit comes out beautifully when matched with light blue or cream shirt. 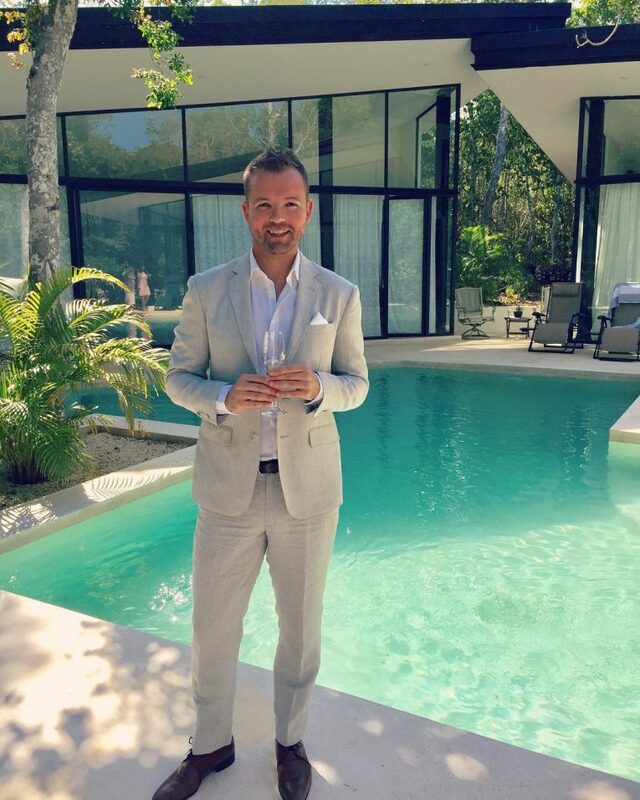 This suit is suitable for tall older men who want to look younger, fashionable and classy. 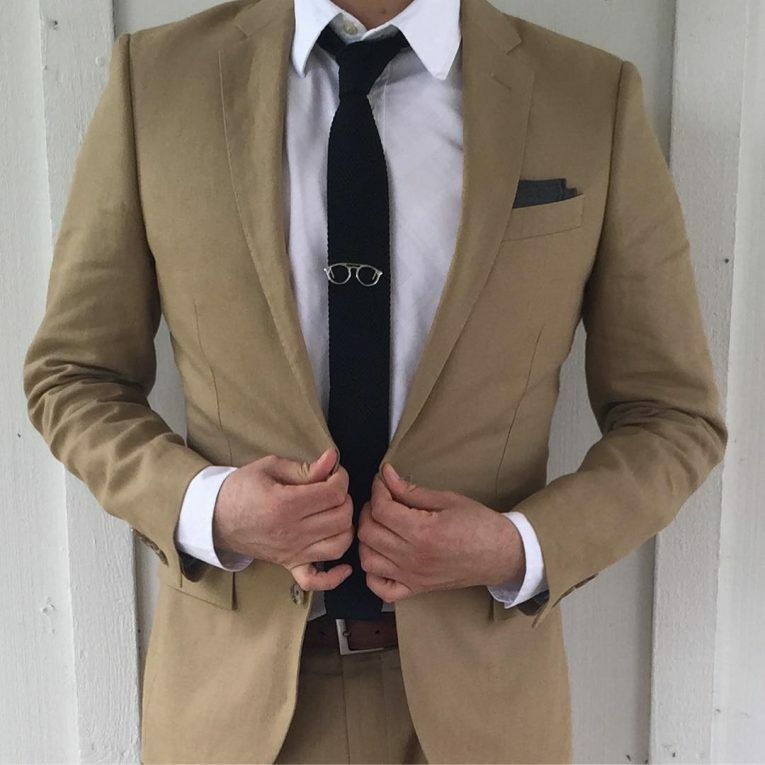 It can be matched with a light blue shirt and dark brown tie. 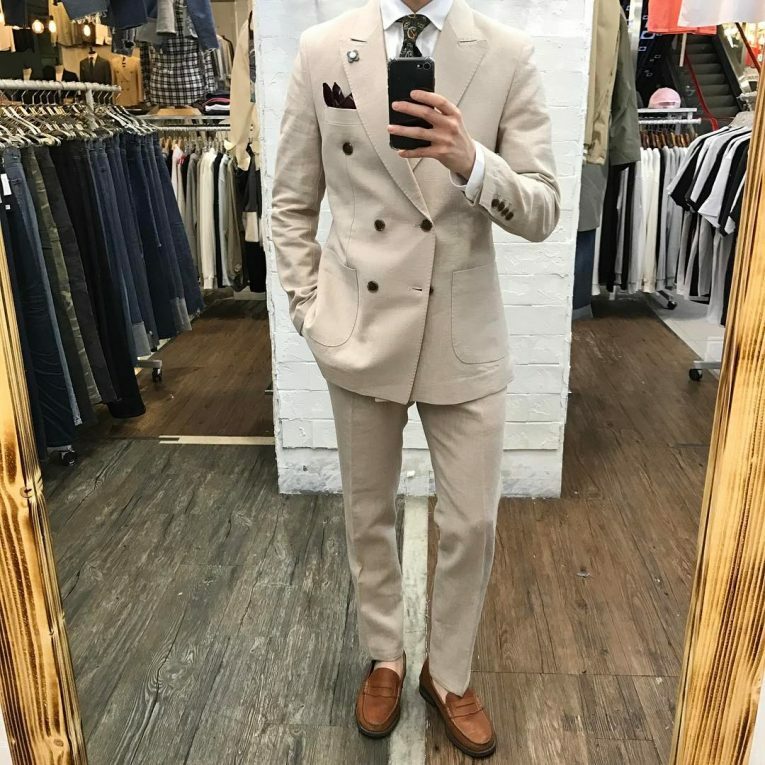 This is a cool saggy suit for men with small bodies who want to look bigger. The coat is wider and longer to cover the upper part of the hips. This suit is suitable for men who want to wear clashed suit and still look elegant and official. 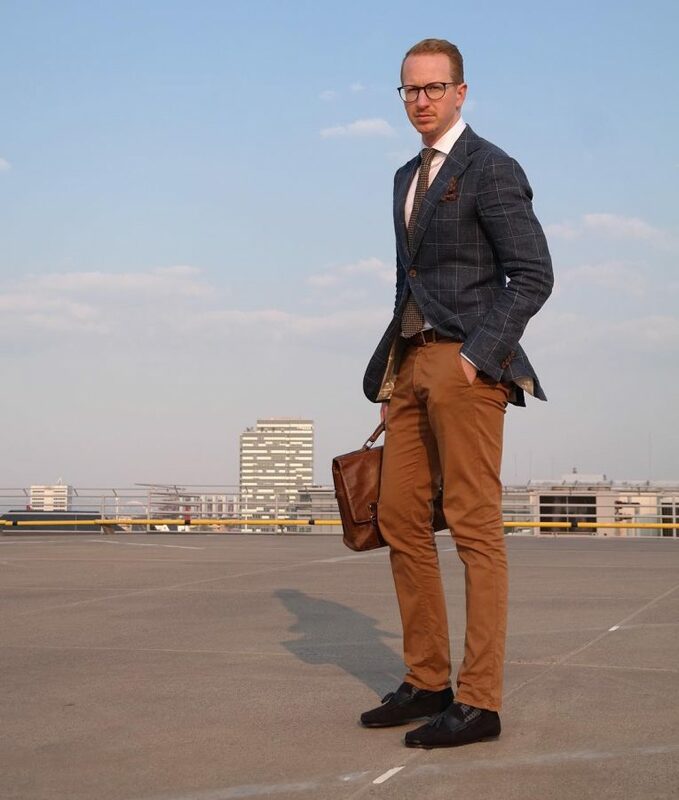 You can match a pair of blue trousers with a brown coat and complete it with a light blue shirt. 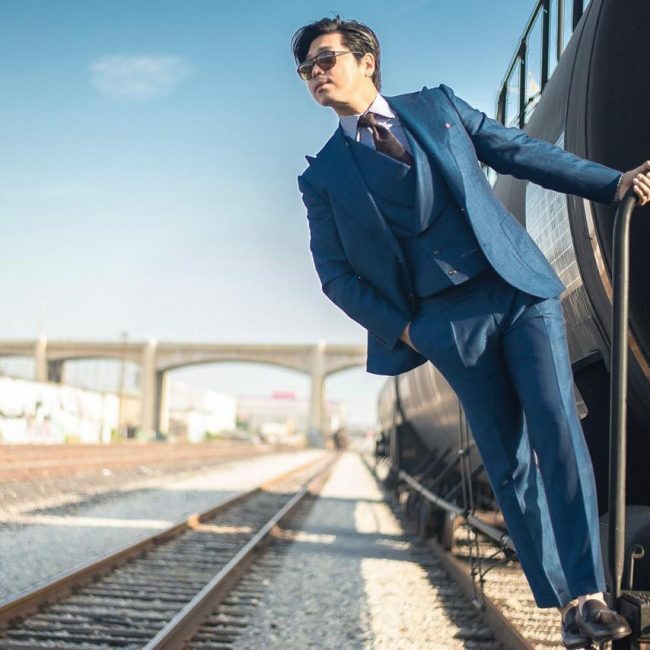 This suit is suitable for tall men who want to look like superstars. 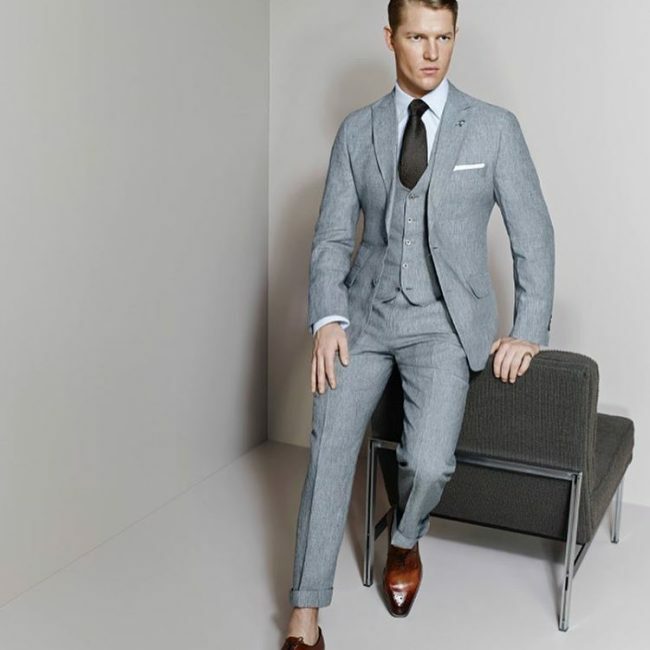 The suit should be a fitting design with the trouser lifted to the ankle level. 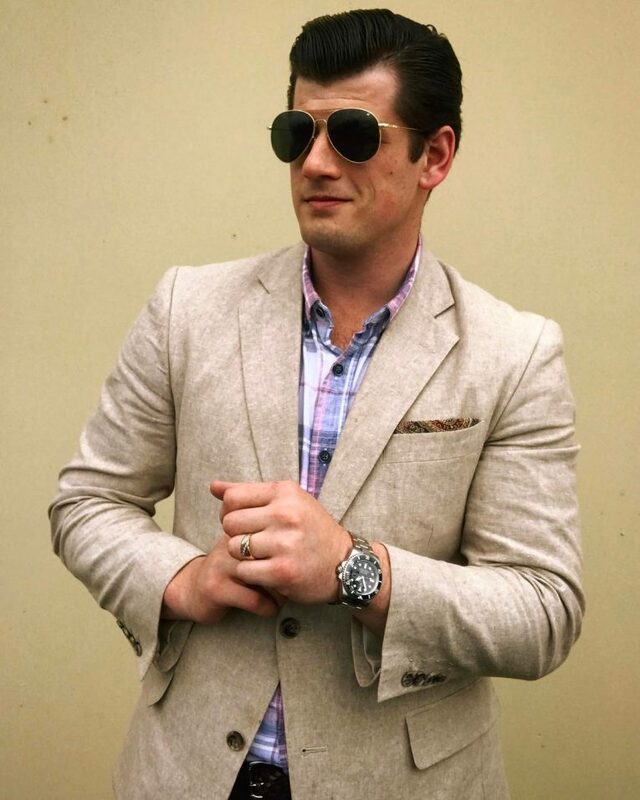 This style is suitable for men who want to look casual in a linen suit coat and still attract attention. 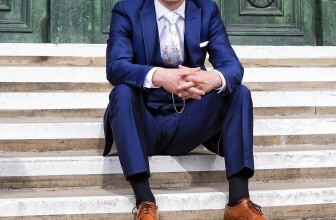 You can have a blue double-breasted coat clashed with different color trousers. 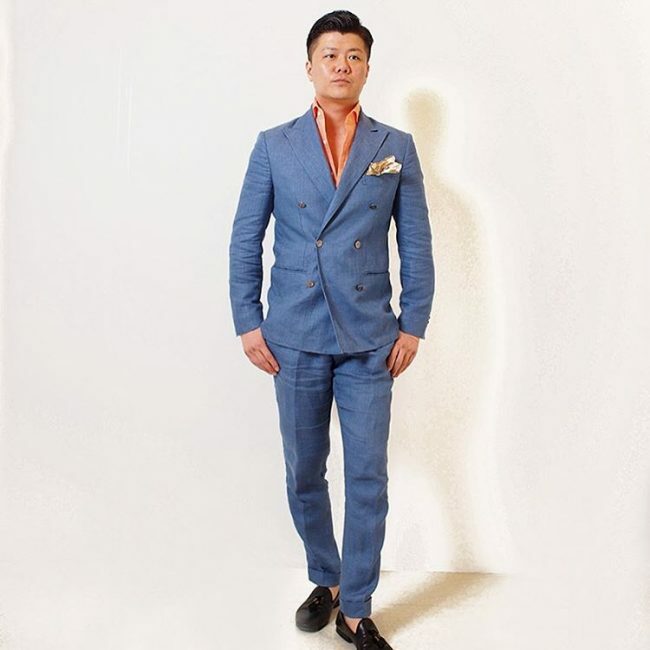 This style is suitable for young and middle-aged men who want to wear free-style clashed suit and look trendy and cool. 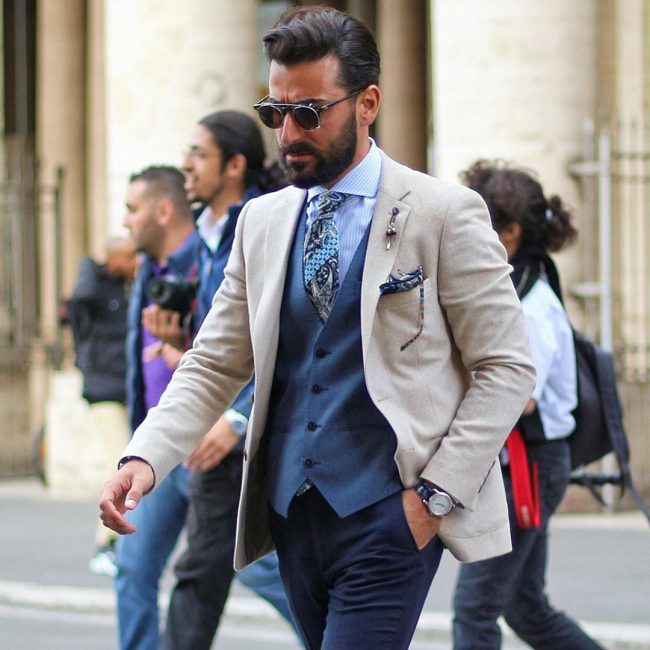 The coat and the trousers should be of different color matched with a white shirt and a blue tie. 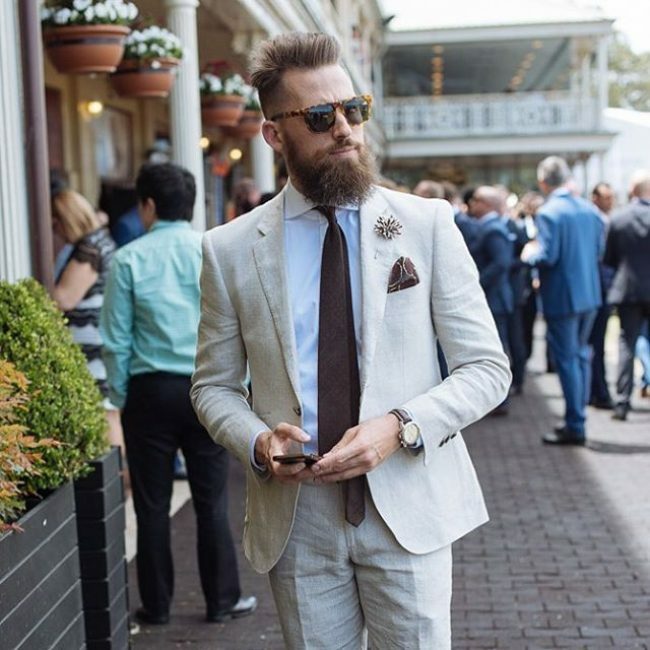 This style is suitable for men who want to attract some attention and still look cool. 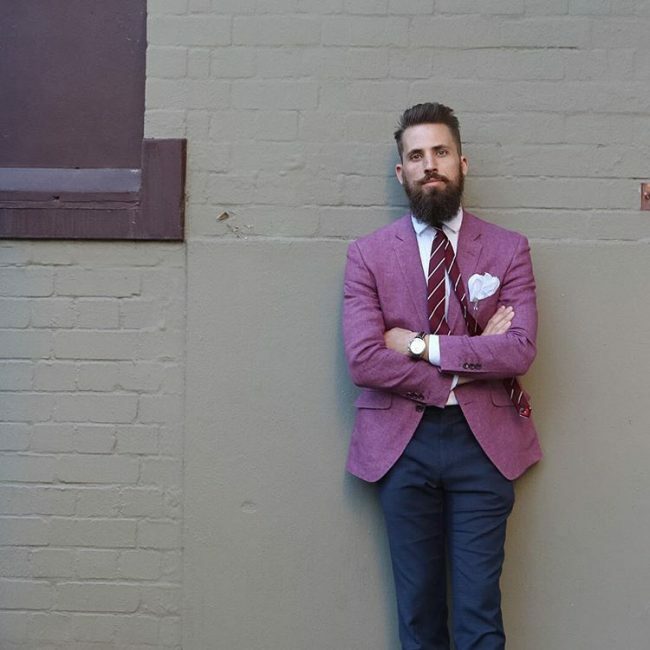 You can match the trousers and the half-coat, but wear a coat of a different color. This style is suitable for men who love shouting colors and be easily noticed. 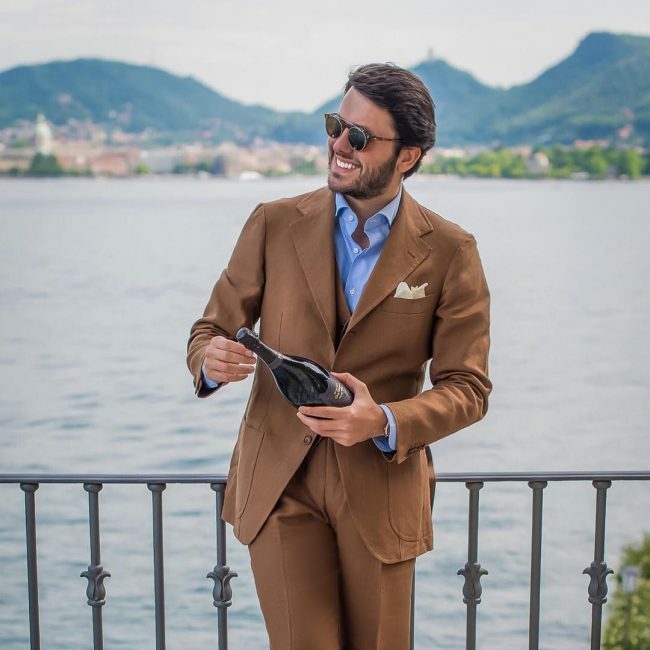 The suit is suitable for sunny day informal occasions where you must wear a suit. This suit is suitable for informal occasions such as a wedding, family gatherings, and day outings. The coat should be slightly longer below the hip line but in a fitted shape. 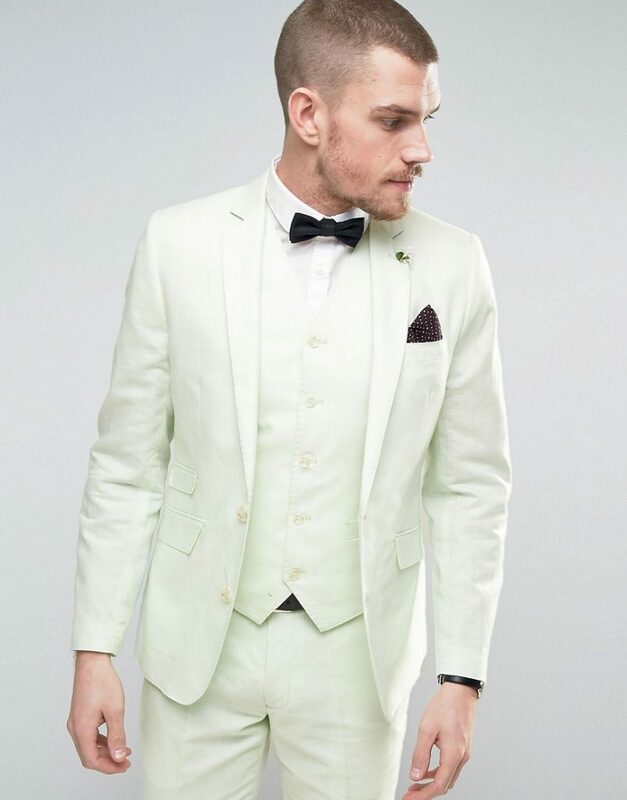 This suit is suitable for men who want to wear a coat and trousers of a different color. 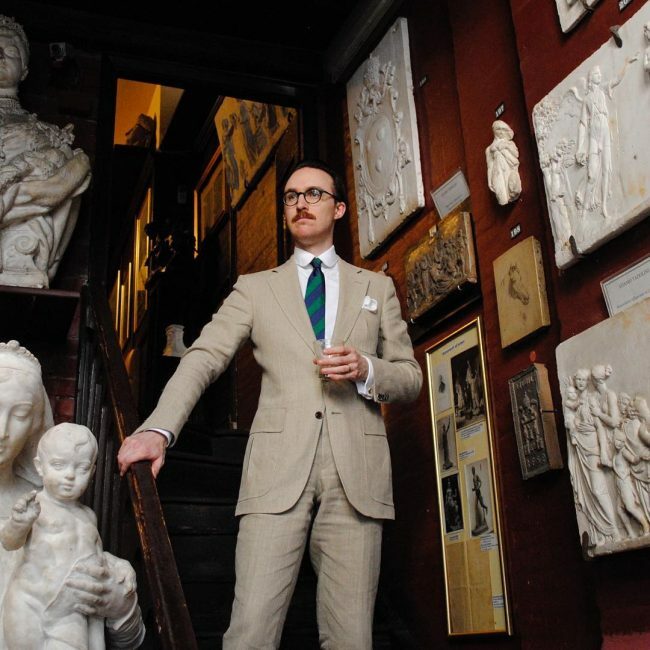 If you want to look cool and fashionable in a clashed suit, this your style. 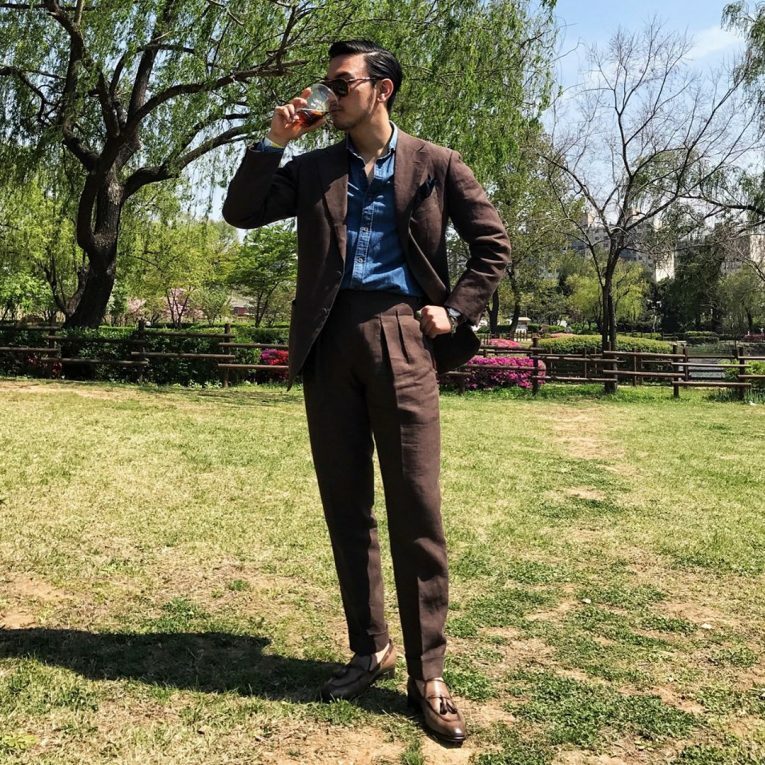 This suit is suitable for men who want to wear a coat and trousers of a different color. However, the coat should be a bit saggy and hanging freely. 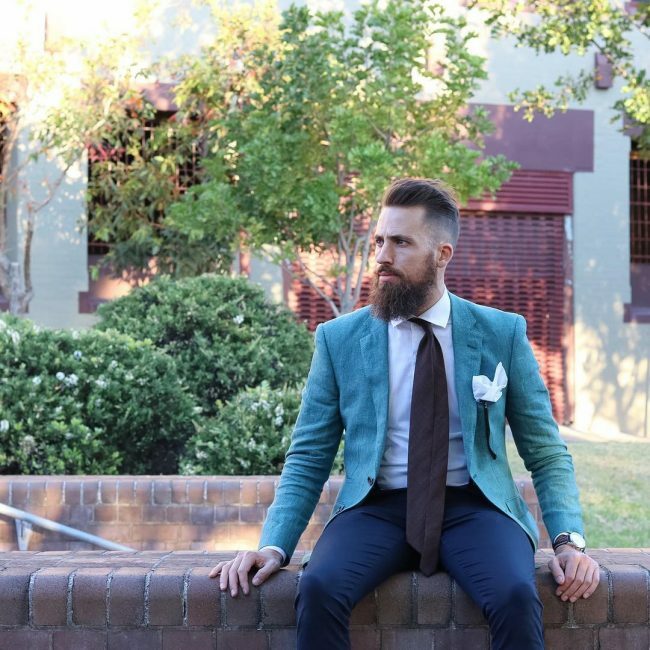 In this style, the color of the coat and trousers is different with a matching shirt and a tie. However, the coat should be light and hanging freely. This is a cool outfit for the weekends. 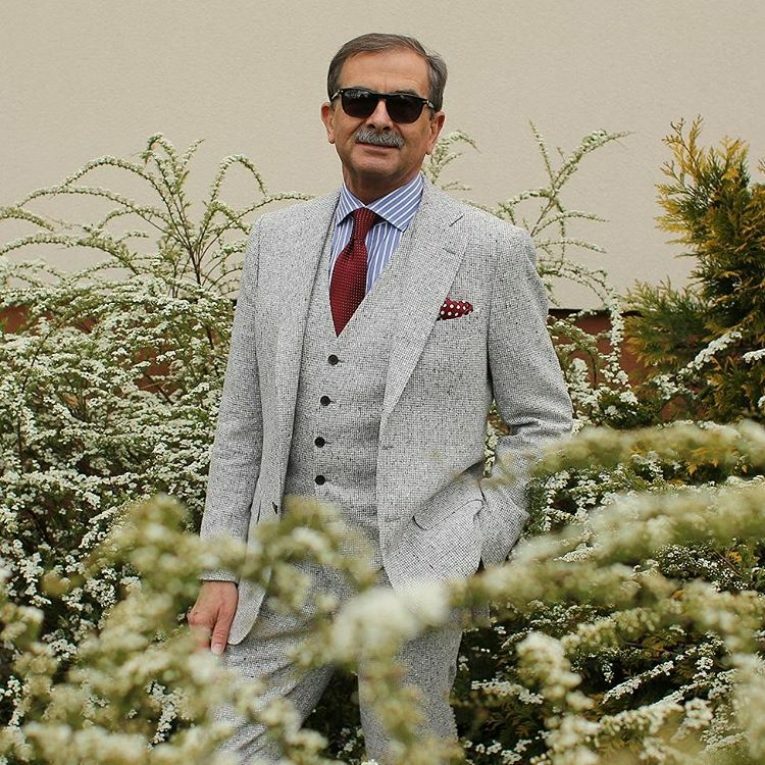 This suit is suitable for the older men who love looking fashionable, younger and attract attention. If you are in your 40s and you want to look as if in the early 30s, this is the style to go for you. The suit can be matched with a nice hat. 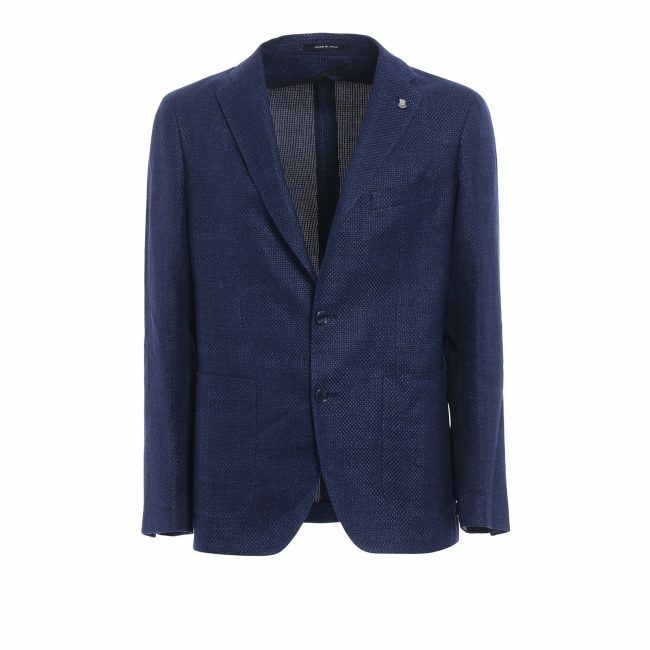 This suit is suitable for lightweight men who want to look cool and trendy. The style is suitable for summer weddings and other informal occasions held on a sunny day. 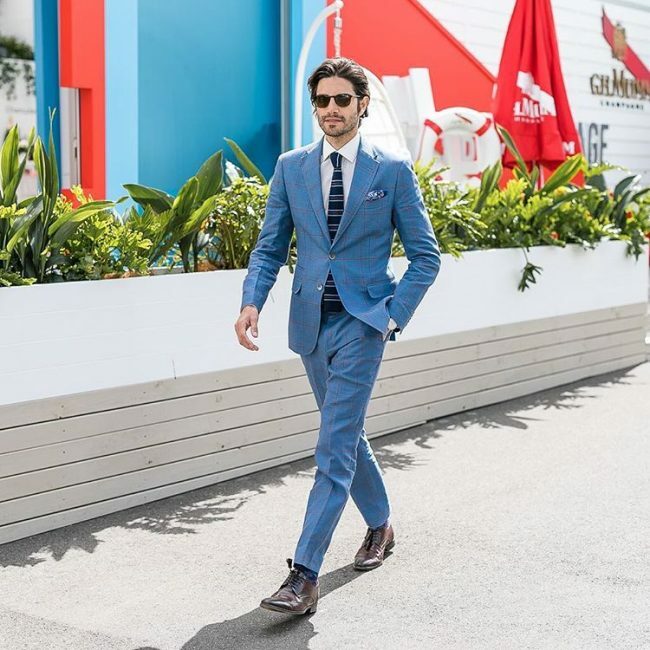 It is true that suits are viewed as a strict dress code for men but with linen suit you can still wear them in informal occasions and look cool. 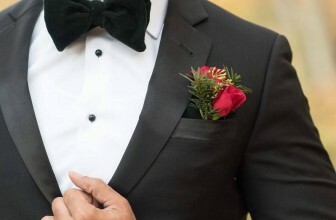 All that you need is a reliable stylist to advise you on what suit to wear and in what occasion.